Jesska Denise: Lush - Santa's Lip Scrub. 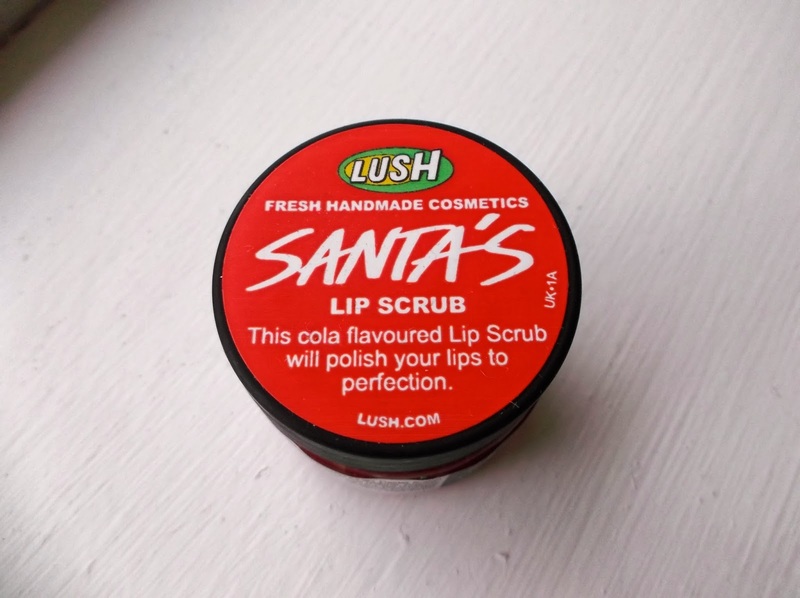 Lush - Santa's Lip Scrub. The 'Lush' lip scrubs are quickly becoming my favourite lip product and having previously tried and loved the bubblegum one i had high hopes for the "Santa's" Christmas one. I needed no convincing when it came to buying this as numerous blog reviews had convinced me of how fab it was going to be and they werent wrong. It's all kinds of perfect. Not only is it part of the 'Lush' Christmas range but it's cola flavored too. A little nod to Coca Cola and their basic creation of all things Christmas no doubt. In comparison to the bubblegum one which btw remains a firm staple in my whole little lip care routine "Santa's" isnt as harsh on your lips. It's definitely a lot more suited to the crazy winter months as the scrub is a lot softer and moister than the bubblegum one. The bubblegum scrub is drier and grittier which i find very effective in removing the dead skin on my lips but a little too much when my lips are bearing the brunt of the elements and a little dehydration. Did someone say "chapped"? 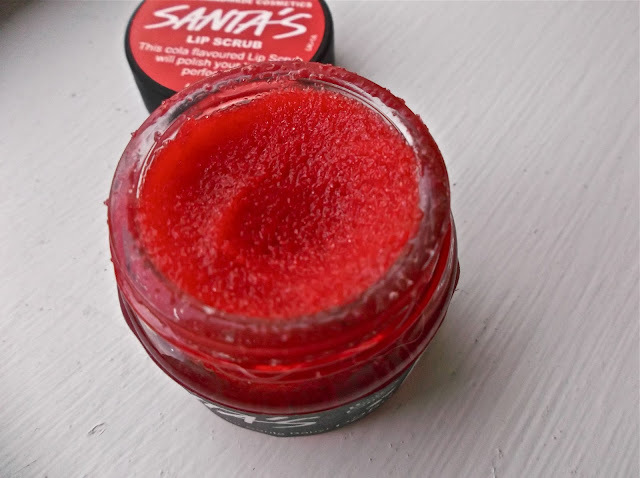 'When I use "Santa's" I feel that it's not only helping to remove those icky dead bits but moisturising and nourishing my lips all at the same time. Coconut oil is a marvelous and welcome ingredient. I can skip the lip balm if I'm really caught for time which in the busy lead up to Christmas and exams is ideal. Although this tastes like cola, its not a nice cola taste? It's overly sweet and not something I enjoy tasting. But I can deal with it. Not to ruin the surprise but there's also little red hearts mixed in with the scrub which are so cute and when you come across one it's like a little gift from 'Lush'. Trust me you'll all be wishing there was a little bit more of them in the tub. I think everyone needs to have this scrub in their drawer as it's the perfect little lip savior. After all if you're gonna be rockin' those deep red berry lipsticks, you're going to need a good base to create the perfect pout. Sounds lovely but I think i will be purchasing a popcorn one, that scent is amazing. I have seen this at a lush event though. The hearts are so pretty! I have reviewed the golden wonder bath bomb on my blog if you would like to take a lil peek.